So I have been a little absent these few weeks. I was sick the week before last, and I have also been busy catching up with so many things that needed to be done. One of those things was taking my dog to the vet. It seems that no matter how good I take care of my dog Carrott Top, each time I take her to the vet there is a new story: She may have Cushings disease, she is overweight, she may have hookworms, her liver is enlarged, her teeth are decayed, she may have arthritis…And so on and so on. I know my dog has many issues. I accept that she is not perfect. I rescued her five years ago from the ASPCA, and she was extremely mal nourished and abused. The poor thing does not bark to this day because she gets scared of her own bark. She easily gets very nervous and for the most part likes to sleep most of the day. I also accepted the fact that my husband and I were lied to when we were given the animal. I know that the overcrowding of some pet shelters leave some facilities no choice but to hide some facts on their animals. Also, at times, the pets are surrendered with very little information provided to the shelters. We long suspected that Carrott was not only terribly abused, more than what was indicated on the forms, but she was also much older. When we adopted Carrott, the shelter told us that she was 3 years old. We knew that this was over-stretching the truth a bit, since it was clear that she had already had puppies and also seemed much older. Her cute, white, little teeth, which were also decayed and still are, were not that way because she was a puppy or because we do not take care of her. They are in the condition they are in because who ever had her before us, abused her so badly that all her teeth are broken, and she has many scars on the top of her head to prove it. In addition, she had heartworms which we had to pay to get treated through surgery. So, my husband and I decided that given her poor condition to begin with, we will not make her suffer anymore than she already has. We feed her what she wants within reason. We buy her blankets and a new pet bed every few months. We ensure she gets vaccinated and gets proper medical treatment. 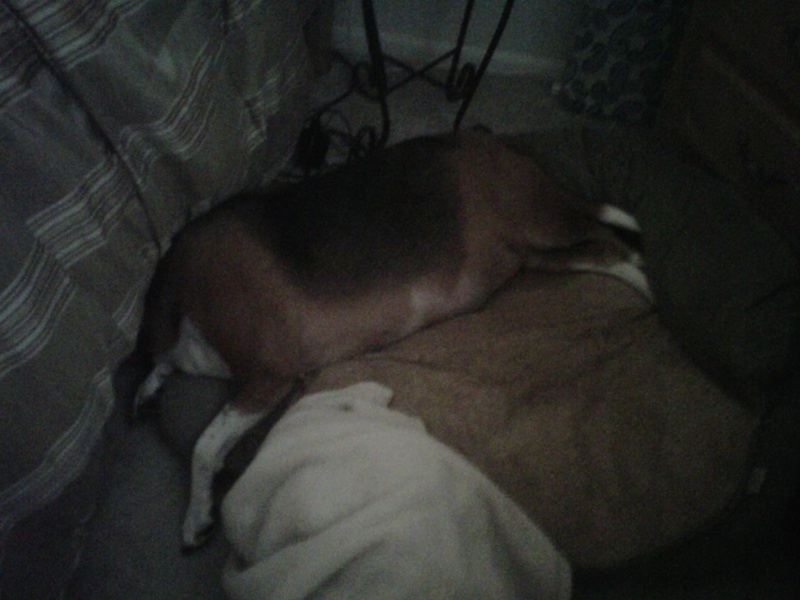 However, we will not subject her to unnecessary blood tests, and x-rays, and procedures to treat her hormonal issues. I mean, the poor animal has been through enough and even those treatments will not give us any more time with her. As far as her hookworms, that issue we did take care of and unfortunately it is one of the perils of living in an apartment complex. Not everyone takes care of their pet like they should and thus our pets suffer the consequences. So I ensure Carrott gets treated for worms, and she gets her preventative heartworm meds each month. But, we will not starve her or put her on some strict diet just so that she loses weight because of her liver. 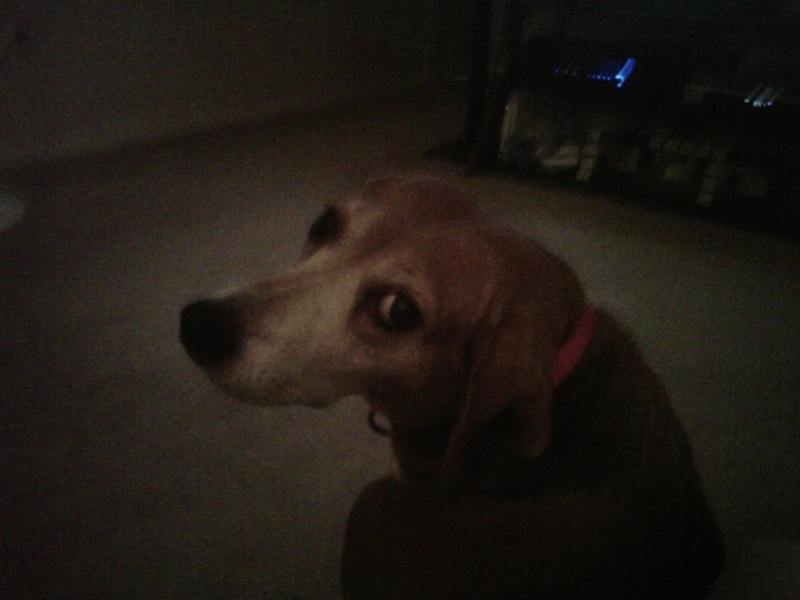 Carrott is a beagle and she is already 10 years old, per the vet’s estimate. not 8 like she would have been if she were 3 when we got her. Beagles live up to 12 years-old on average. Carrott cries of hunger each time we had tried to cut down her food. My husband and I refuse to let her suffer because of food. I think she has been through enough suffering in the prior years before we had her. I do not know how much longer we have with her, and we will ensure that she is at least happy in her last years. She is older now and much slower. No diet is going to fix the damage that was done to her years ago. We try to limit the table food, and she gets fed once a day. But I will not cut her food even more or put her on these diet foods for dogs that she hates anyway. At this point we just want to catch up to whatever time we have lost with her due to work commitments, travel, or whatever, and just enjoy our time with her. She has given so much to my husband and I, and she is a valuable member of our little family. I have learned so much patience and received so much love from her, I can only pay her back with making her happy; with some limits of course. I know everyone is different and will agree or disagree with me. But there are times when we have to listen to our hearts and do what we feel is right for our pets. No vet can tell you what you feel is right for your pet. No test or treatment can give you that peace of mind.